Since its inception in the late 19th century, montage has proven to be a fertile subject. It seems to disappear for a time, only to resurface as a thought-provoking monograph or revisionist survey. This year alone we have witnessed two major exhibitions on the subject: The Guggenheim presented a fine collection of Josef Albers’s photo-collages, followed by the The Ends of Collage, a tripartite international exhibition dedicated to the medium and its legacies. These shows focused on the techniques, themes, and emergence of collage-montage as a quintessential modern medium. Both conform to standard explorations dedicated to presenting works characterized by juxtapositions of fragments of visual material that have been reassembled to yield alternative readings. 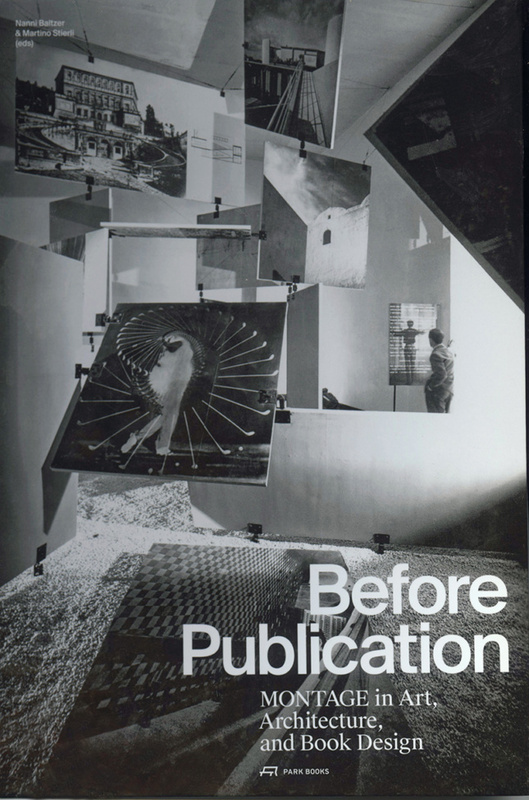 Before Publication: Montage in Art, Architecture and Book Design offers a new take and makes a significant contribution to the vast body of literature on the subject. Rather than displaying finished works, this book focuses on the moment during the “liminal status of the work of art between its private inception and its public presentation,” or the mysterious, invisible process of selecting, gathering, and arranging “fragments of reality.” The eight essays collected and edited by Nanni Baltzer and Martino Stierli range widely, revisiting well-trodden terrain while moving into various new territories. But all eight are connected by a concern with the ephemeral moment before completion and presentation. Several of the essays seem to stretch the traditional definition of montage. For example, “Drawing and/as Montage,” by Antonio Somaini, discusses Sergei Eisenstein’s drawings, some of which were associated with his teaching and part of his Notes for a General History of Cinema project. At first glance, the works on paper seem to be a scattering of personal notations in a private language of eccentric impenetrable symbols. But Somaini decodes Eisenstein’s markings to read as indications of passages through place over time, which can then be understood as a kind of montaging of thought. According to the author, montage in Eisenstein’s hands becomes an instrument of orientation, like a map within a history that would otherwise remain an intricate labyrinth. A more obvious topic, Richard Anderson’s “Montage and the Mediation of Constructivist Architecture,” discusses the prominence of photomontage and filmic montage within the constructivist architectural practice. In their struggle for a purely modern architecture, these architects turned to the language of montage and exploited its potential for obstructing or transcending traditional modes of communication. Architectural publications such as SA (Contemporary Architecture) deployed what they termed a “montage of facts” to describe the way their articles displayed notations and dossiers of references on the page. In general discussions of urbanism, montage appeared as a conceptual umbrella for an array of spatial figures used by architects to describe an inventive approach to concerns of human habitation. The essay closes with the work of Ivan Leonidov who had developed a sophisticated system to articulate his spatial and cultural concepts, which he termed “photo-models.” Anderson cites the complex project for a Palace of Culture of 1930 in which Leonidov exploited typical montage techniques of reorientation and inversion to generate a visual heterogeneity capable of multiplying the reader’s points of view. To underscore his position, Anderson includes one of Leonidov’s charming montages, “Dirigible over the Pyramids.” The absurdist, surreal humor presages the work of Archigram and the avant-garde groups of the 70s. Baltzer and Stierli continue their efforts to broaden the notion of collage/montage with Jason Hill’s essay “Ad Reinhardt Assembles a News Picture.” Reinhardt, known primarily for his dark yet luminous abstract paintings, was also a writer and an eccentric illustrator. He worked regularly for the nonideological leftist paper PM during the 1940s as a “collager,” a job that was described by the editor as involving “the art of pasting up paper, pictures, drawings, or what have you to create an effect.” From his huge file of 19th-century clippings, the artist would cull bits of images, cutting and splicing them together for his stories. When he couldn’t find the perfect piece to complete the concept, he would simply draw or draft it in by hand. According to Hill, the staunchly anti-fascist editors recognized that pictorial journalism had become the instrument of editorial duplicity in support of reactionary positions. Reinhardt’s handmade works offered a way to distinguish their publication from the others by enlisting the mind of the reader. His illustrations required “looking and seeing,” active processes with an implicit moral imperative. 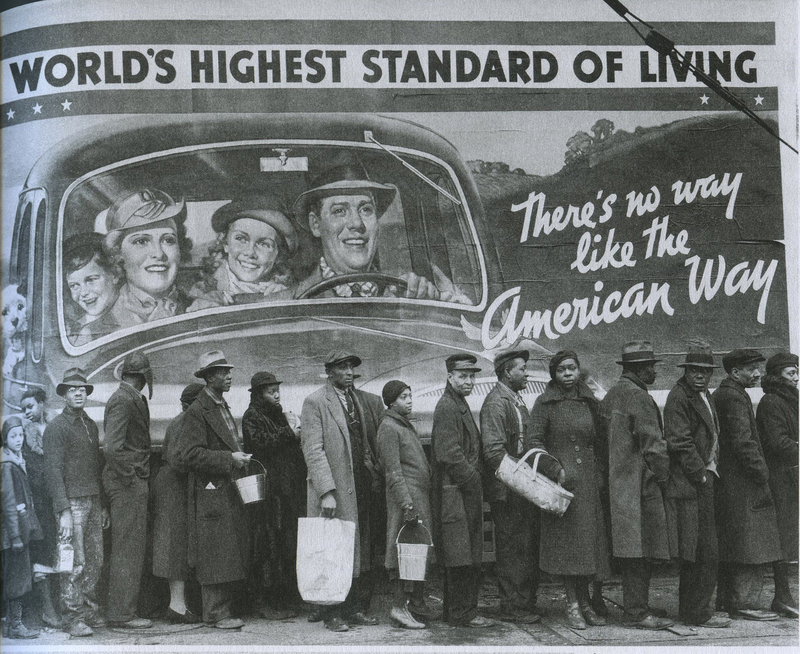 Hill believes that for Reinhardt the collages provided a way of bridging his two worlds: the world of abstraction with its absolute rejection of pictorial reference, and that of the artist/illustrator who participates in a larger conversation about urgent public issues. All together the collection provides a contribution to the literature by demonstrating that montage can be a more elastic and inclusive medium than previously thought. It should be mentioned that the book itself has been elegantly and cleverly designed as a montage, both in terms of its formal qualities as well as in the selection of essays. Nancy Goldring is a New York–based artist. August 29, 2016 Could the Narkomfin building soon be restored?